There’s nothing better than weight lifting for creating a strong and chiselled physique, right? But, there’s also nothing better than weight lifting for creating callused hands and aching wrists, right?! Luckily, that’s where weight lifting gloves with wrist support come in. However, in an ever changing and highly competitive market, we are now more spoiled for choice than ever before. With so many gloves available and so many contrasting opinions, how are you to know which is the best product for you? Rest assured, I’ve done the hard work for you. 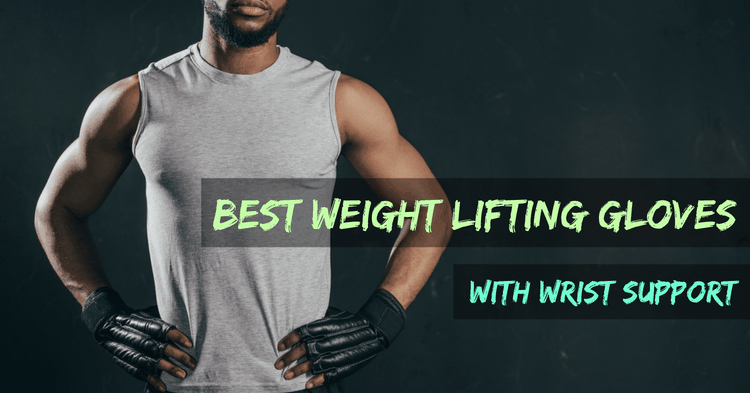 Read on to find out about the 5 best weight lifting gloves with wrist support, and how to know what to look for when making a purchasing decision. What is The Difference Between Weight Lifting Gloves and Lifting Straps? Ultimately, weight lifting gloves are a personal preference. It is assumed that wearing gloves whilst training is merely to keep your hands soft and callus free, but their benefits extended beyond aesthetics. Not only do they protect your hands from bar friction, they also improve your grip, protect your wrists through added support, and help you redistribute weight more evenly. 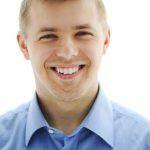 Ultimately, they allow you to perform better. 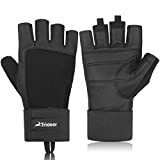 If any of the above-mentioned factors are an issue during your workouts, weight lifting gloves with wrist support may be a great lifting accessory for you. There are two major differences between gloves and straps. 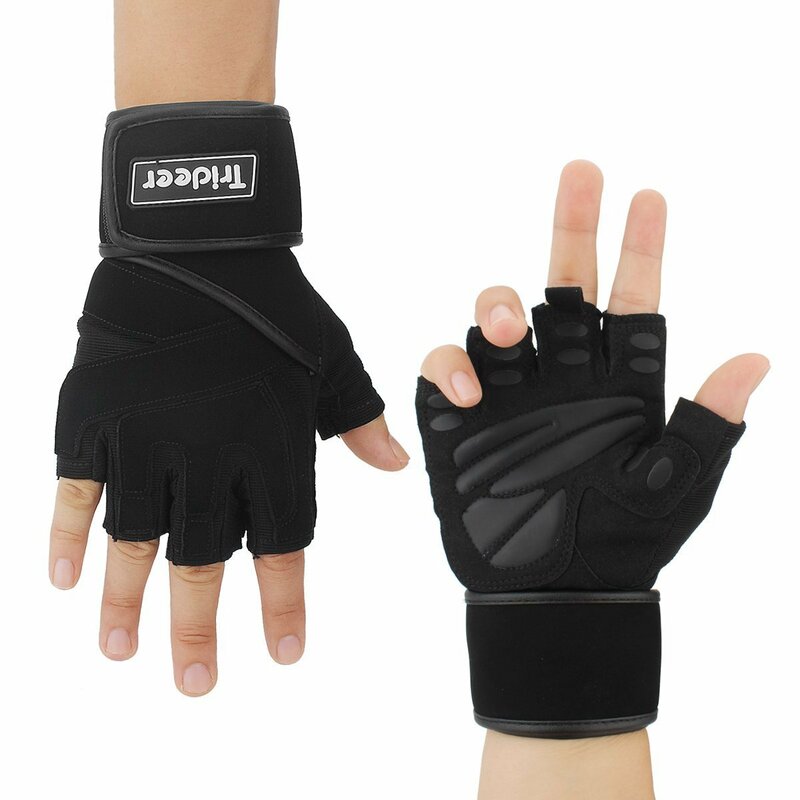 Weight lifting gloves (with wrist support) offer you whole hand and wrist protection. They are also worn on your hands only, with no attachment to the bar. Ill-fitting weight lifting gloves can do more damage than good, so it’s important to get the fit just right! Gloves that fit you right will allow for you to maintain the proper positioning of your wrists, palms and fingers whilst lifting. Most brands provide a range of unisex sizing. They should fit your hands snugly, but not be so tight that they restrict finger movement, i.e. curling around a bar! Keep in mind that the material in which they have been manufactured may result in some stretch or give over time. 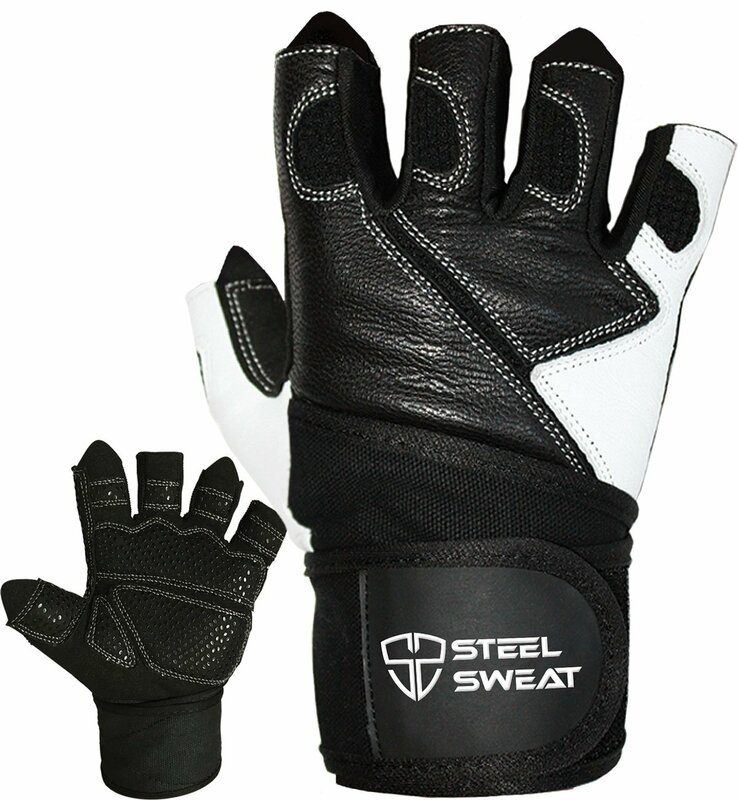 Weight lifting gloves are typically available in ½ finger length, ¾ finger length, and full finger length. The most common are the ½ finger length. The right ones for you would be specific to the type of weight training you do and the amount of protection you are after. The cushioning found in weight lifting gloves is to provide a barrier between your hands and the weight you are lifting. They can make or break the glove, in my opinion, so be sure that the padding will be comfortable and effective for you. The cushioning is usually made from gel, foam or cloth. One of the key benefits of using weight lifting gloves is the traction they provide, and therefore better grip. Different gloves provide different levels of traction, so it’s best to ensure that the gloves you choose have the sufficient amount of traction for the lifting you do. For example, if you are performing lots of very heavy lifts, you would want weight lifting gloves with maximum traction. Weight lifting gloves come in a range of materials, some more breathable and durable than others. 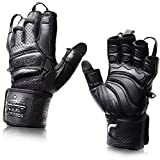 Various factors such as, the duration of your lifting, the intensity of your lifting, your heat resilience, and any skin conditions you may have, might affect your choice of gloves, based on what material they are made from. Weight lifting gloves are most commonly made from leather, rubber or cloth. Leather/suede and rubber gloves are said to be the most durable. Whilst weight lifting gloves come with a wide array of great features, they also have their downfalls, which are to be considered before purchasing your own. Some people have reported increased friction due to the material rubbing on their hands, in addition to the friction caused by the weight. This can, however, be due to poorly fitted gloves. As mentioned previously, those with skin conditions may also develop an irritation from the gloves. Weight lifting gloves can be a bacteria asylum if not maintained correctly, which is gnarly. They can be a little tricky to clean, and it’s important to follow the cleaning instructions as to not damage your gloves when cleaning them. A hot topic for discussion is whether the extra help the gloves provide you with, in terms of grip, impedes your overall ability to maintain and increase your grip strength. Short term gain, long term pain? Again, this comes down to individual preference, priorities and training goals. And if you really want to nit-pick – they can be a bloody nuisance to put on and take off. First world problems! I’ve scoured the weight lifting glove scene to be able to provide you with what might just be the best 5 options that are out there right now! Let’s look at the high achievers. 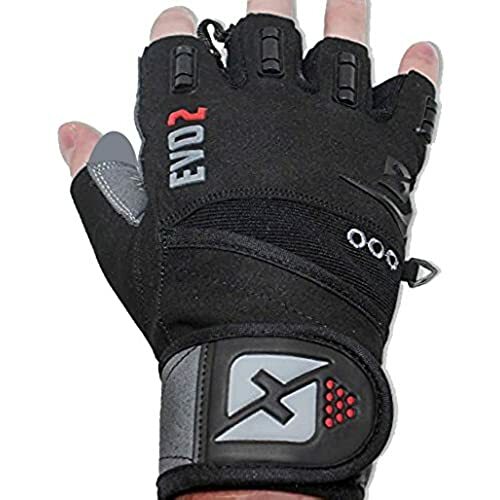 Designed by USA athletes, The Evo 2 weight lifting gloves were created with both the beginner and seasoned pro in mind. A direct focus was placed on durability and comfort when it came to the design. They are made from gym rated, durable materials designed to last, and are padded with high density foam for ultimate palm protection and comfort. These gloves come with a 3-dimensional fit system, and are available in 6 sizes, 2 of which are specific to women. They come in ½ finger length, with advanced gel print on the palms and fingers for grip. They also have the extra protective feature of rubber knuckle moulds, which come in handy in a gym environment. The integrated wrist straps have a solid Velcro tab. Although the wrist straps are short, they are designed to be durable wrist guards. Putting these gloves on and taking them off is made easy by pull tabs to assist, although I found the way they are connected to be slightly annoying. They also come with a little storage hook. I had a look at what users of these gloves were saying online and was pleased to see that there were several reports of significantly reduced wrist pain – good to know that the wrist strap serves its purpose! I noted that there were a lot of mentions of high standard of durability too! All up, I would rate these gloves a 4.5/5! The Trideer gloves are manufactured out of lightweight microfibre and they are exceptionally comfortable – you might even forget you are wearing them. 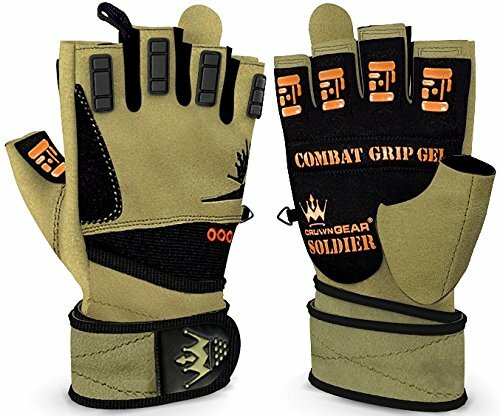 Due to their light feel and comfortable wear they are not only used as weightlifting gloves, but as general workout gloves too. They have reinforced stitching and feel like they are built to stand the test of time. They offer a range of 5 different sizes, come in ½ finger length, and a range of colours to suit your personality. They come with 18” long integrated wrist straps with a Velcro tab that provide comfortable support. These gloves have a good amount of grip on the palms and finger. They have padded sections throughout the palm instead of full palm padding, which may be an issue if you’re all about that press life. Taking them on and off is reasonably easy with a few finger tabs and a generally easy fit design. But, in my opinion, what makes these gloves stand out, is the fact that they are machine washable! No stinky gloves here! Interesting feedback I found on these gloves is that the Velcro on the wrist straps is super long lasting. Good to know, considering the Velcro is necessary for the wrist straps to function. These gloves get a 3/5 from me. 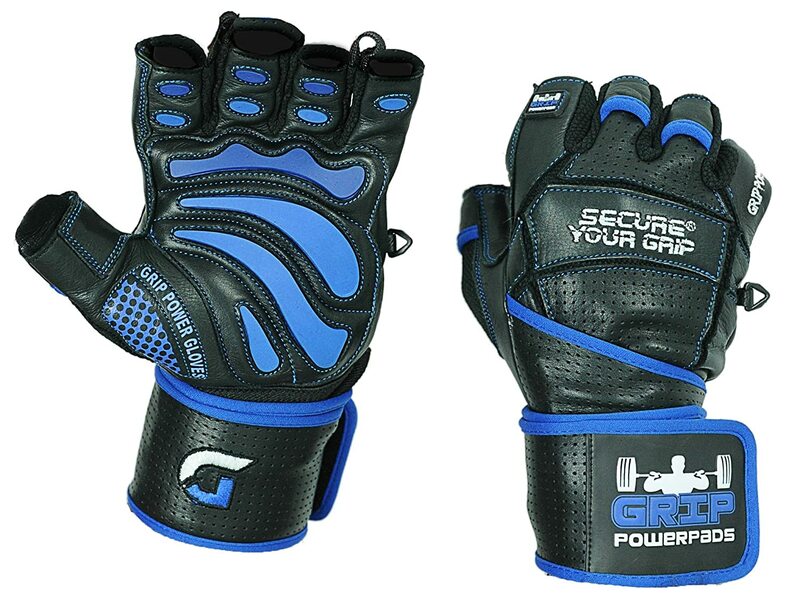 Ok, so these Crown Gear weight lifting gloves certainly look awesome! Their look and feel were inspired by the Military and they provide you with heavy duty protection without limiting your movement, thanks to the premium four-way-stretch fabric used to make them. They are made from extreme hard-wearing material and are double-stitched for ultimate durability. These gloves are available in 5 unisex sizes, come in ½ finger length and have a 3D mould, forming a snug and comfortable fit. They have mesh panels (in clever places) to allow for extra breathability to keep your hands dry, which in turn paves way for better grip and performance! There are gel prints at points on the palm and fingers for extra grip, but the heavy-duty, rough texture of the gloves themselves would provide additional grip. They are fitted with padding protection at key points on the palm and fingers, as well as added knuckle protection. A complete wrist wrap with industrial standard Velcro is integrated into these gloves to ensure superior wrist support and maximum reliability through gruelling lifts. And without forgetting the storage hook and pull on and off tabs – these gloves come complete with those too! Whilst learning about these gloves I came across several customer reviews that were raving about the grip these gloves provide! They seem to be a popular choice amongst heavy lifters. These gloves get a 4/5 in my books! Durability – built to last! If their name doesn’t already give it away, these gloves are all about the grip! These gloves scream performance. Fitted with blue two-tone rubber padding, and lots of it in all the right places, these gloves provide extra insulation and grip for days. It does however, make them a little on the bulky side. But, if you’re wanting ultimate protection, their bulkiness is a small price to pay. These gloves are handmade from luxury leather and come with a 25” long integrated wrist straps. Due to the nature of the material they are made from, a good fit is important. They come in 5 unisex sizes. Being mostly leather, these gloves may be on the warmer side of the equation, even though they are dotted with breathing points. Another thing to keep in mind with leather products is that they can be difficult to clean. They come fitted with tabs for easy removal, and a storage hook. I found that a lot of the customer feedback associated with these gloves is centred around hand protection and grip. People generally feel both the padding and grip provided by these gloves are great. I give these gloves a 4/5. These Steel Sweat gloves are unique in that they have been designed to act like a second skin. To literally… fit like a glove. A flexible fit, generous ventilation and superior moisture wicking were focussed on when manufacturing these lightweight, uber comfortable and long-wearing weight lifting gloves. They come in ½ finger length with finger expansion seams to suit a range of finger sizes. There are 6 unisex sizes to choose from and an extensive size guide, so you can’t go wrong with sizing. The back of the glove is finished in leather for a high-end feel with the most part of the glove being manufactured out of ‘Coolweave’, a high performing material. Despite the leather on these gloves, they can be easily handwashed to keep them fresh. Fitted with an anatomical padded palm, these gloves are designed to specifically protect your hands, whilst promoting natural and unrestricted movement. The double leather layered palm and fingers dotted with rubber make for a solid grip. They come complete with comfortable 18” long integrated wrist straps. These gloves do come with tabs for easy removal, however, they are a little small and might not be too effective. They do not have a storage hook but can easily fit in a pocket! I enjoyed reading what people had to say about this product. Some of the comments I read mentioned how the stitching was in all the right places, and how these gloves seemed to stay fresher for longer. Good to know! These gloves, are almost perfect, so I’m going to go with a 4/5! To conclude (and make your decision a little bit easier), I’ve selected an overall winner from these top picks. The Skott Fitness 2017 Evo 2 Gloves win pole position! Ok, so they have an annoying pull off tab. But in large, they tick all the boxes. Purchasing weight lifting gloves with wrist support are, generally, to satisfy 2 needs: Pain reduction and the ability to perform better. These gloves claim to do both, and their customer reviews back them up! And after all, you can’t go wrong with a product designed by the athletes, for the athletes.